The first AsBAA Safety Day to be held in China took place in Beijing on April 12. 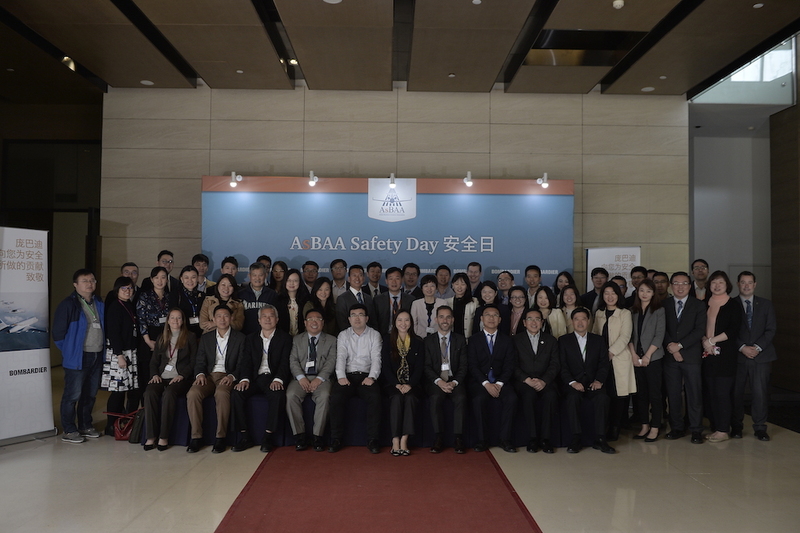 The Asian Business Aviation Association (AsBAA) held its first China Safety Day just before ABACE 2019, on April 12 at Sino Jet’s facility in Beijing. It had previously held Safety Days in Singapore in 2017 and 2018, and in the Philippines last year, and will hold its inaugural Hong Kong (Greater Bay Area) event on September 12 this year. The next Singapore Safety Day is June 10, and the next Philippines day November 5. According to AsBAA, it hopes that once established in a sub-region, the local chapter will maintain its Safety Day as an annual event. Last Friday’s focus was on how AsBAA can create a culture of best safety practices in China. The session was introduced by AsBAA chairperson Jenny Lau. Representatives from the CAAC, EASA, World Fuel Services, Embraer China, and International SOS were among the presenters. The main panel discussion focused on optimizing safety practices. Pictured L to R: Paul Desgrosseilliers of Execujet Haite; Jin Yongfa of CJet; Xiao Zhiyuan, vice president, AOPA China; and Michael Wang of Embraer China.